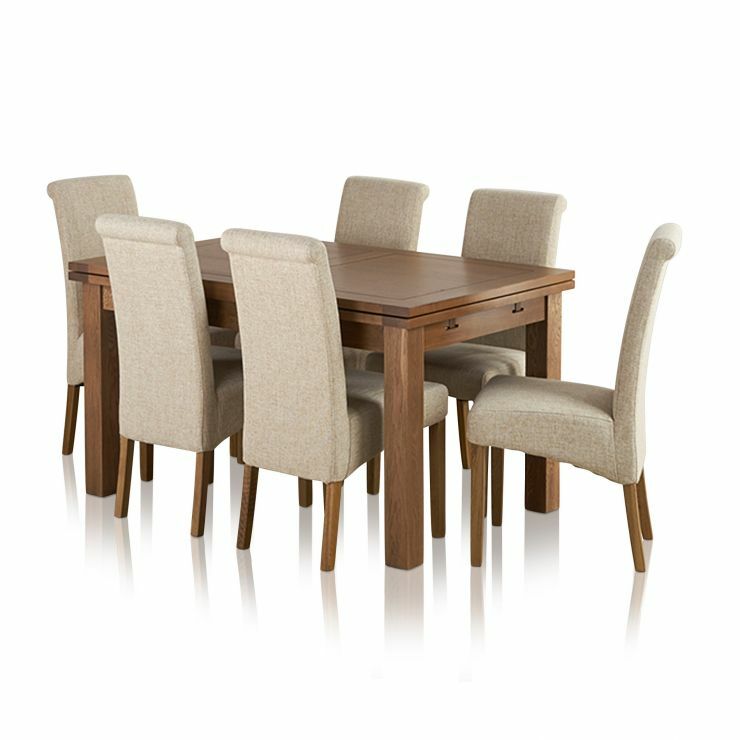 The 4ft 7” x 3ft Rustic Oak Extending Dining Table is handcrafted using premium grade oak and is finished in a distinct darker oak finish exclusive to the Rustic Range. 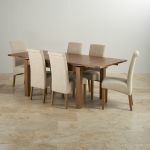 The dining table can comfortably accommodate up to eight people in plentiful space with its unique extending leaves found at each end of the table. 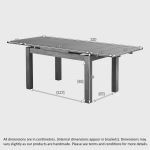 By simply pulling out each leaf a 28mm in depth extension will provide a surplus storage area perfect for dinner plates and trays. 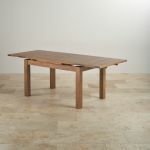 The table is styled simply to bring the natural splendour of the darker oak panels to the forefront. 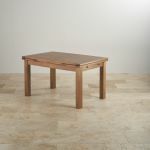 To maintain this unique finish use a Furniture Wax 3-4 times a year. 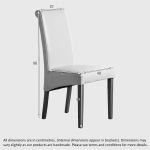 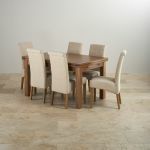 In addition to the table are six highly comfortable fabric upholstered chairs in a modern Beige colour. 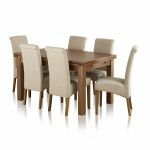 The chairs feature a high back design and are crafted with premium grade oak. 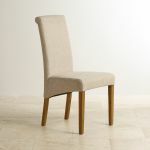 Available in Sage, Light Grey, Charcoal and Beige.